For 16 days in November, 2018, we operated a shelter for dogs at the Yuba Sutter Fairgrounds. With the help of hundreds of volunteers, in addition to our trained people, we sheltered 116 dogs. Most of the dogs were reclaimed before we closed the shelter on November 27th. The remaining dogs were transferred to Butte County Animal Control. We would still appreciate cash donations, either through PayPal, through their button below, or sent to YSDADA, P.O. Box 3563, Yuba City, CA. 95992. Not all of the expenses for the organization are covered by FEMA via Yuba County OES: , such as storage, etc. We are a non-profit 501(c)(3); our EIN # is 55-0830073. 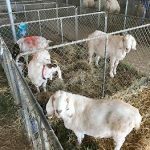 YSDADA established a temporary shelter for displaced domestic animals at the Fairgrounds in Yuba City as a result of the activation order from the Yuba County Office of Emergency Services in October, 2017. Volunteers processed 78 dogs initially in Expo Hall, later in the Beef Barn, as well as 105 livestock at the Fairgrounds Livestock Area. 92 horses went to the Sutter County Sheriff’s Posse Arena, and FieldHaven Feline Center sheltered 39 cats and other small animals in Flower Hall . The animals were cared for until other alternatives for their care became available. We made sure that the animals in our shelters were correctly reunited with their owners. The response of the community was overwhelming. Over a hundred people showed up to volunteer. Local businesses were generous with needed equipment and supplies, often showing up before we had the chance to call them and make a request. 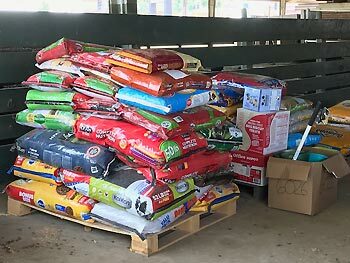 Community members brought three tons of dry dog food and all the other supplies a cat or dog might need: leashes, collars, bowls, bedding, kitty litter, and toys. People and businesses also brought hay, shavings, and livestock feed. 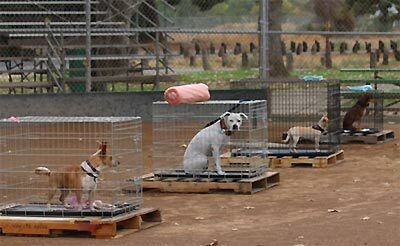 Our colleagues at North Valley Animal Disaster Group in Butte County sent 60 large crates for our use. Earlier this year, residents of Oroville were given just an hour to leave their homes and to evacuate the rapidly rising flood-control releases from the Oroville Dam. The news covered evacuation orders, Red Cross shelters being set up, and other community emergency action plans. 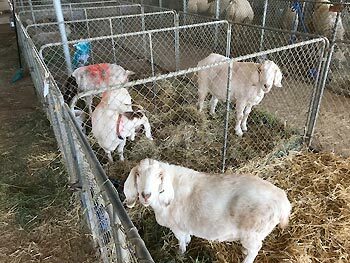 But, what you may not have heard about was the livestock and pets that were impacted by the disaster. 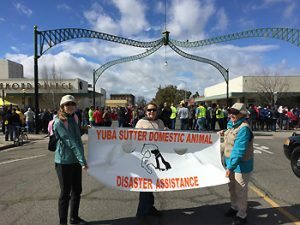 Mary Hill of Data Entry considers herself fortunate to be a long-time volunteer with the Yuba/Sutter Domestic Animal Disaster Assistance (YSDADA.) 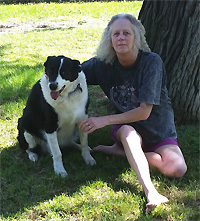 A true animal lover, Mary has been with YSDADA for more than 12 years. 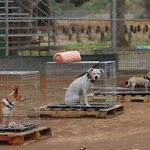 YSDADA receives calls from the Office of Emergency Services, The Red Cross, and other agencies requesting that a shelter be set up for the farm animals and pets of the people that need to get to a shelter. Most human shelters will not allow evacuees to bring their pets to an emergency shelter, so YSDADA tries to establish an animal shelter as close as possible to the human shelter. By doing so, stress is minimized – for both the humans and the animals. Some YSDADA volunteers even have land that can also be used to board livestock. YSDADA is accredited by FEMA and the Office of Emergency Services. This story is an excerpt from the California Department of Motor Vehicles, Registration Operations Division employee newsletter. Along with first responders and others who assisted during the Spillway Incident at Oroville Dam, YSDADA was invited to participate in the Bok Eye Parade on March 4, 2017. We handed out copies of our new brochure and got an enthusiastic welcome from the crowd. 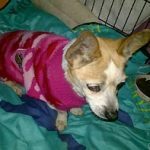 From January 8-11,2017, YSDADA operated an animal shelter in Yuba College’s vet tech area. We were assisted by Dr. Kyle Mathis and Mrs. Amber Kuykendall, RVT, college faculty and staff. We were activated on Sat., Jan . 7th by Scott Bryan of Yuba County OES to provide an animal shelter for people evacuated from flooded areas. Sat. afternoon, the college was chosen as the site for both the Red Cross shelter and the animal shelter. The vet tech area had all the supplies we needed, so with their generous help, we were able to set up the shelter fairly rapidly. We had a total of 5 dogs and 1 cat. Dr. Mathis offered to spay and vaccinate the cat, while YSDADA paid for the micro-chipping and gave the cat a crate in which to recuperate. The pet owners came to the shelter to visit their animals and were very grateful for our help. 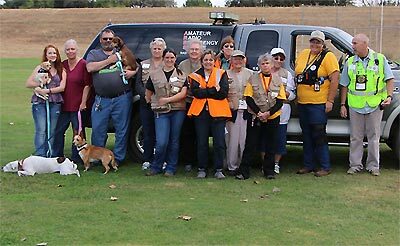 Yuba Sutter Domestic Animal Disaster Assistance recently conducted a sheltering drill in coordination with the Great California Shakeout annual exercise. 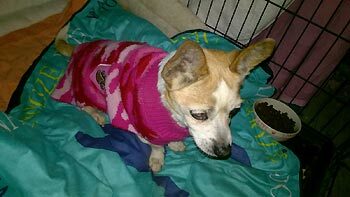 YSDADA, as it is commonly referred to, is a local non-profit tasked with sheltering domestic pets in the event of a declared natural or man-made disaster. This event was held Sunday, October 18th, at the south end of Riverfront Park. YSDADA volunteers set up the intake and housing portions of their Disaster Response Plan. Animals were housed after initially determining the condition of each one. Members of Sutter Buttes K-9 Rescue provided dogs. The dogs used during this drill are available for adoption through Sutter Buttes K-9 Rescue. Contact Theresa at 755-2025 or visit Sutter Buttes K-9 Rescue Thrift Shop on Gray Ave across from Sam Brannan Park in Yuba City. 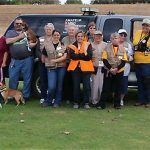 Communication within the shelter and with outside agencies and organizations was conducted by local Amateur Radio Emergency Services (ARES) volunteers. Potential volunteers were invited to attend the drill to better understand what is involved in sheltering and re-uniting animals with their owners. YSDADA encourages all pet and livestock owners to be prepared to evacuate with their animals or make arrangements to shelter them elsewhere. YSDADA encourages prospective volunteers to register as Disaster Service Workers (DSW) with both Yuba and Sutter County DSW councils and be certified after completing courses in the Incident Command System. This insures that the actions of YSDADA will be in coordination the County Disaster Response agencies, providing a vital service to the community. 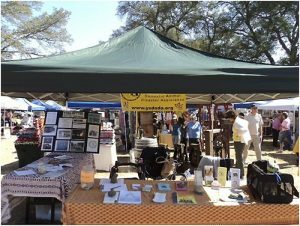 YSDADA participated in the Yuba County Harvest Festival Saturday, September 26th. We were give $19 in donations and had 15 people sign up for further information about the group. Thank you to Susan DeConti for allowing YSDADA to participate in another community outreach event! Wednesday, September 17th, the State Office of Emergency Services requested the services of YSDADA for large and small animal evacuations and shelter assistance. Evacuations were not conducted behind the fire lines; volunteers were positioned in Staging Areas or assigned to Animal Shelters. Yuba County Emergency Operations Manager Scott Bryan authorized YSDADA to aid El Dorado County in response to the King Fire. Volunteers included Justin and Tammy Birney, Gretchen Cupp, Shari Goforth-Eby, Ginny Paschke and Jeannie Pittman. Gretchen and Shari cared for dogs and cats in separate shelters, feeding and caring for cats and exercising the dogs. Ginny and Jeannie were staged to respond to assist with evacuation of small animals, while Justin and Tammy Birney were prepared to remove large animals from areas if threatened by a change in the direction of the King Fire. 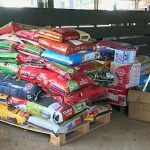 By evening of Thursday, 9-18, an estimate of animals sheltered in four locations in the area were: approximately 105 dogs, approximately 82 cats, 24 horses, 30 goats, 29 chickens, 4 pheasant, approximately 10 birds (parrots to lovebirds and parakeets), 9 sheep, 4 ducks, 1 donkey and 6 turkeys. Some evacuated animals had already returned to their owners; others were sheltered later as the fire spread or changed direction. YSDADA was released from its commitment on Tuesday, 9-23-14. As of this report, the fire is 35% contained. Thanks to all those who did respond or were prepared to assist over the weekend. While the mission of YSDADA is to help with local emergencies, it is a testament to the training our volunteers have received that we are able and willing to provide effective help to other communities if needed.